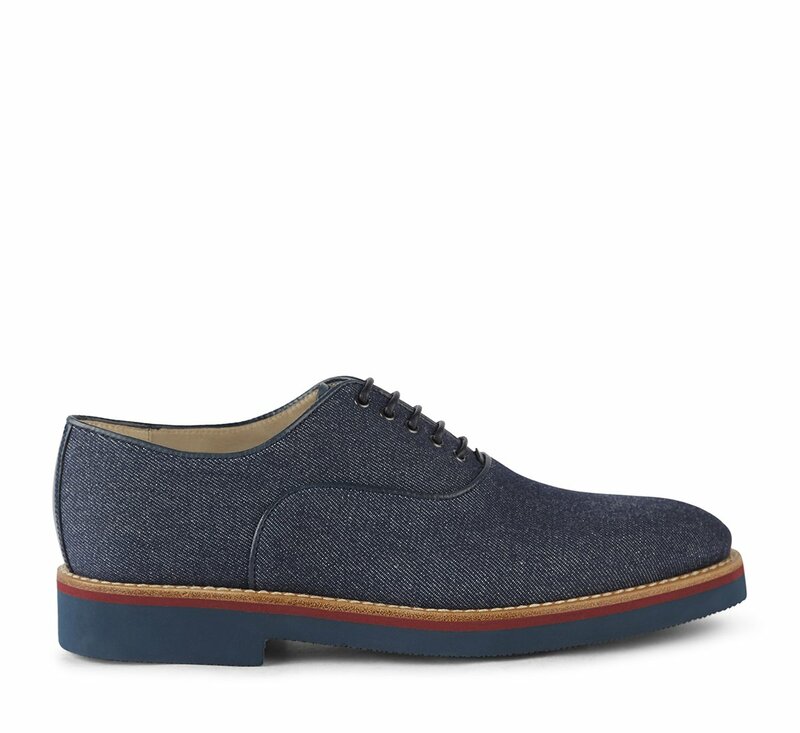 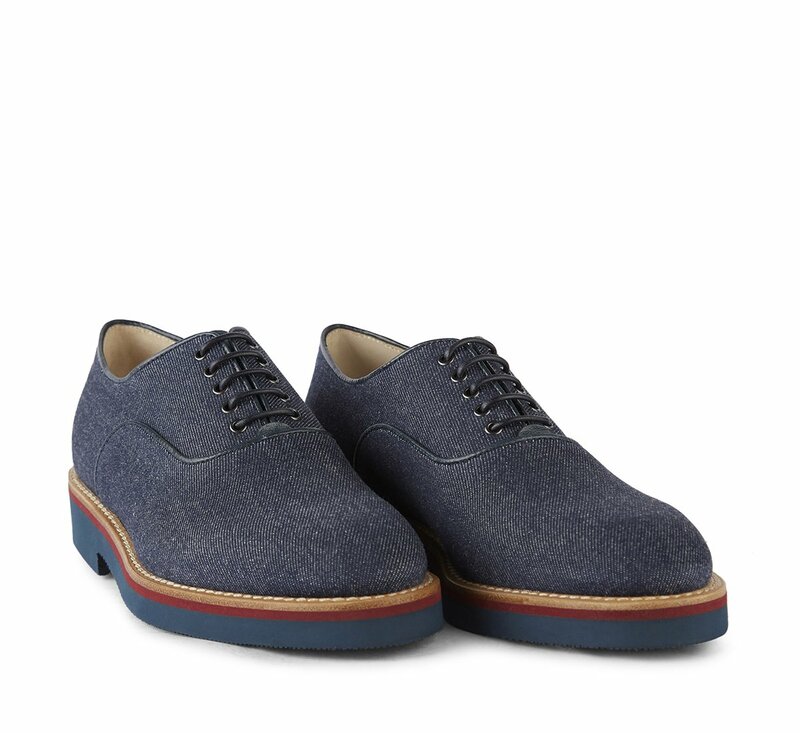 Lace-up shoes in denim fabric with elegant profile in leather. 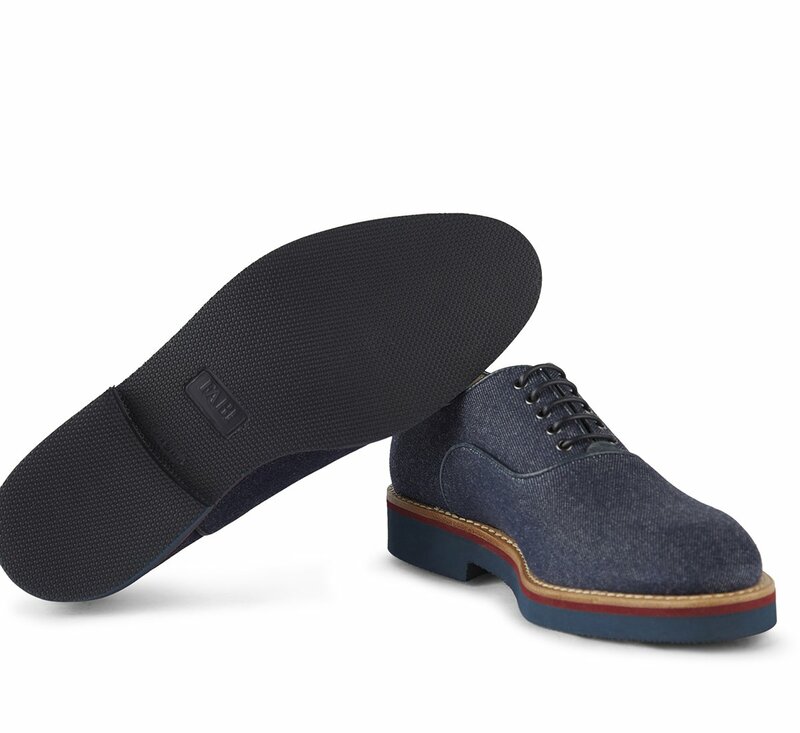 Lining and insole in leather. 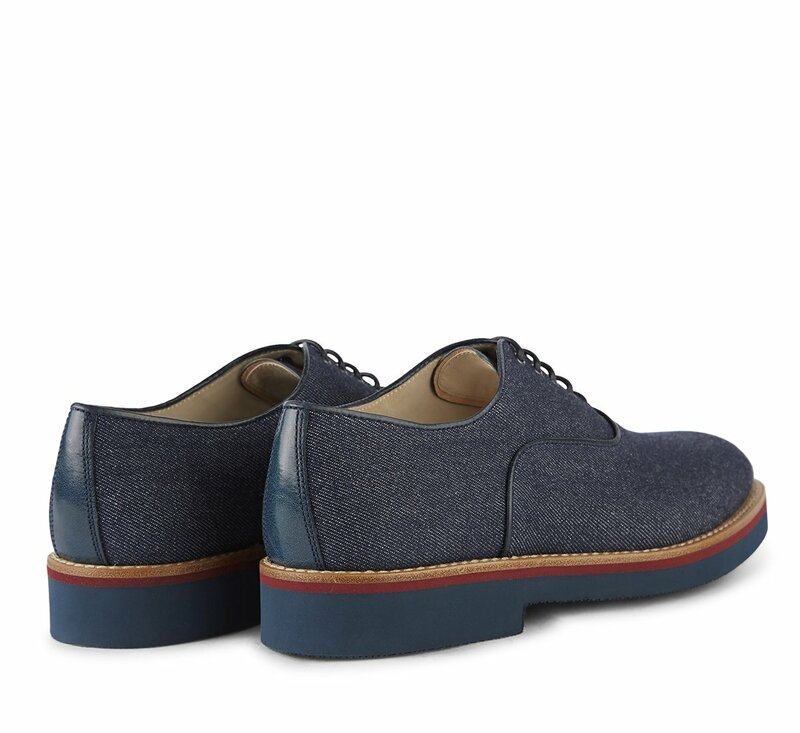 Two-tone rubber sole and welt in leather.